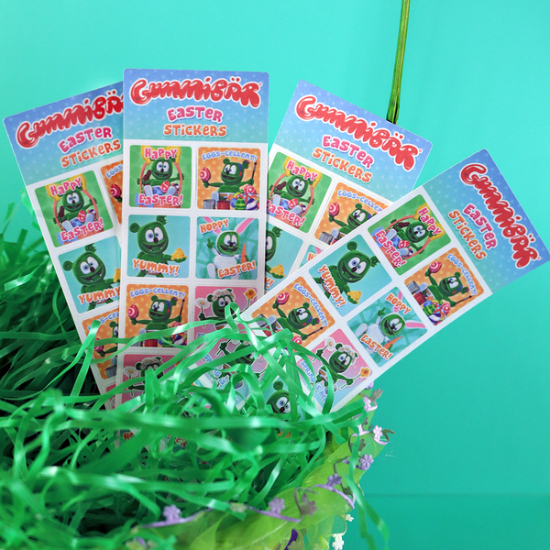 Adorable new Gummibär (The Gummy Bear) Easter Sticker Sheets are now available in the Gummibär Shop! 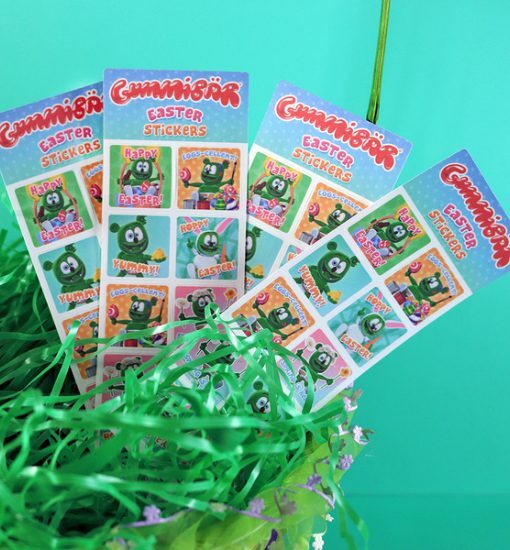 Includes 4 sheets of stickers with 10 stickers on each sheet for a total of 40 stickers. Individual stickers are slightly less than 1″ tall.